About 90 % of the supply network operators do not charge their operating costs on a cause-by-cause basis using process cost accounting. 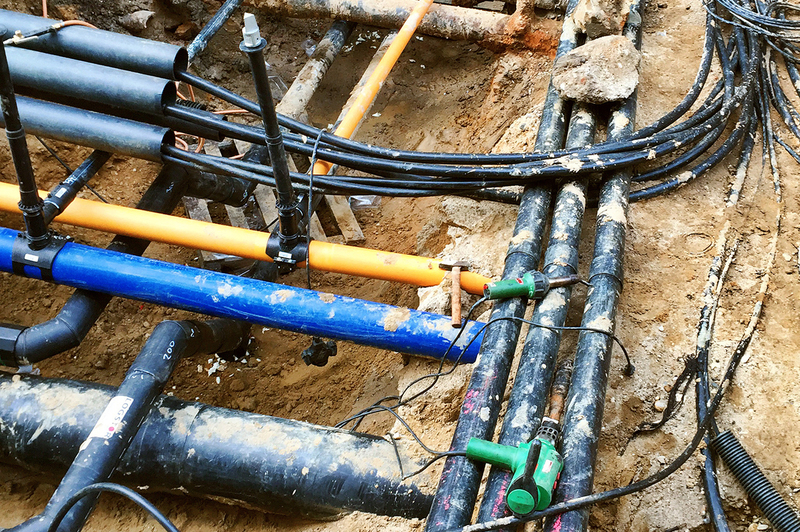 Whether as a separate department of the supply network operator, as a subsidiary or as an external service provider – professional network service means competence in the planning, construction and commissioning of networks as well as their maintenance with continuous inspections and a 24-hour standby service. Across all divisions and processes, special software systems not only support the trouble-free and secure operation of the supply network, but also ensure greater cost-effectiveness and transparency as well as decision-making reliability in asset management. The secure operation and expansion of networks is a capital- and resource-intensive business. At the same time, incentive regulation puts pressure on network operators to reduce costs. They are required to identify cost drivers and to break new ground in the management of networks in order to reduce costs. Mettenmeier's maintenance and planning systems (AM Suite, OPTIMUS) accompany your network service processes from work preparation through execution to controlling. The systems were developed from practical experience in close cooperation with supply network operators and take into account all operative, strategic and legal requirements – in the office and in the network.